The pro-life TD put forward motions for the proposed legislation to be scrapped, the suicide clause removed and for members to have a free vote at a parliamentary party meeting last night. FINE GAEL TD Peter Mathews put three motions before a meeting of the Fine Gael parliamentary party last night calling for the proposed abortion legislation to be scrapped, the suicide clause to be removed and for members to have a free vote. The motions, which you can view below, are said to have received a cool response from TDs and Senators with one source saying that the Dublin South TD was granted leave to distribute the motion but nothing beyond that. Mathews has already indicated that he will vote against the Protection of Life during Pregnancy Bill when it comes before the Oireachtas in the coming weeks and last night he made an attempt to force the matter at the weekly meeting of TDs and Senators. 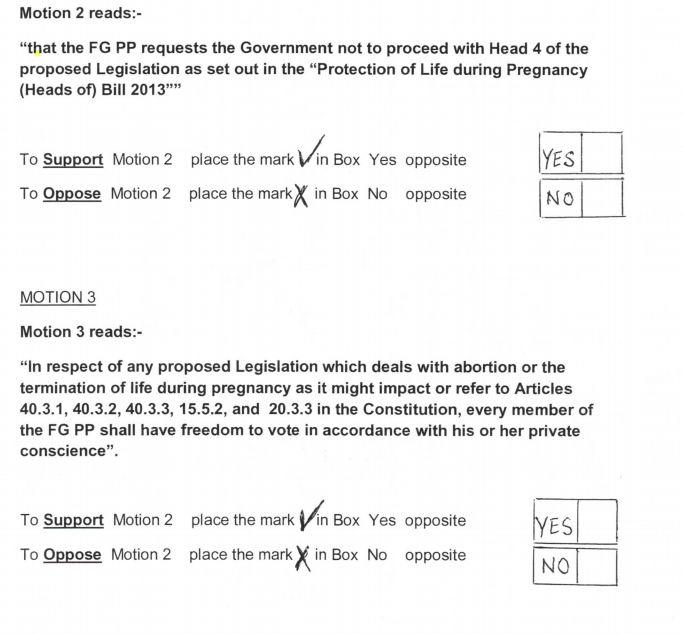 In a three-page document distributed to TDs and Senators, and seen by TheJournal.ie, Mathews explains the motions he proposes are based on the positions adopted by the EPP. 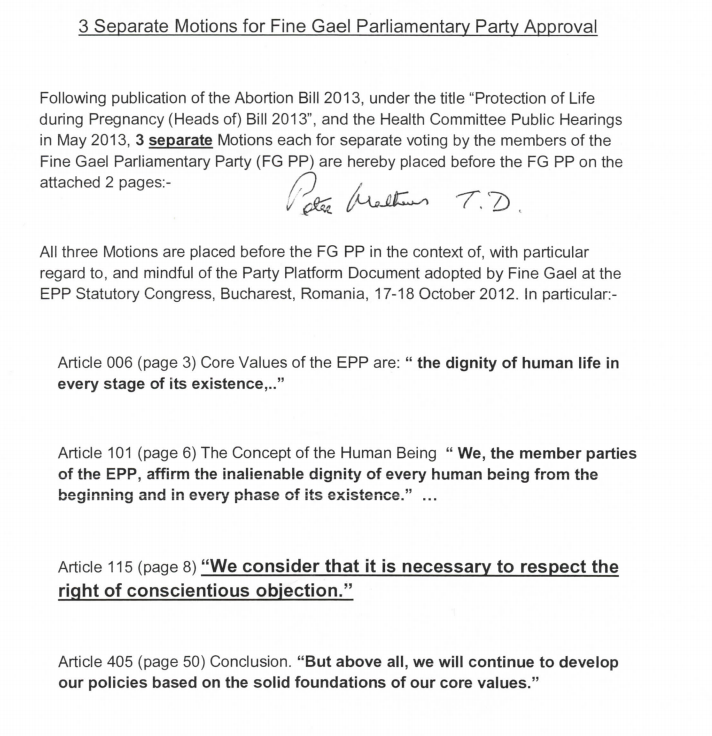 This is the pan-European group of political parties, of which Fine Gael and its MEPs are members – with “the dignity of human life in every stage of existence” stated as being among the EPP’s core values. Mathews asks that a secret ballot be held to “avoid any duress, fear or favour”. In the first motion he claims that there is “no obligation or requirement” for the Oireachtas to legislate for the X Case and calls on the government not to proceed with the Protection of Life during Pregnancy Bill. 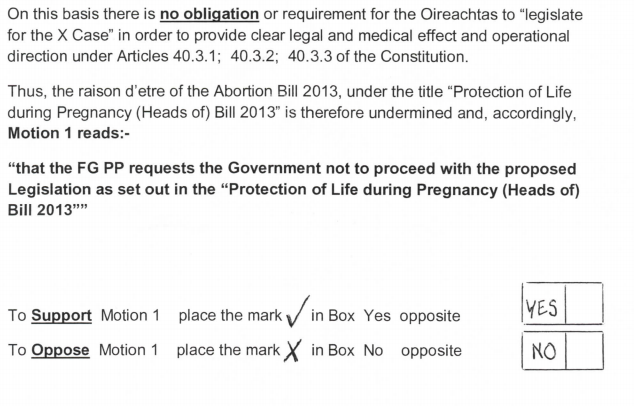 The second motion say that no evidence was heard at the Health Committee hearings that abortion is a “remedy or treatment for the threat of suicide” and calls for the government to remove Head 4 – the suicide clause – from the proposed legislation. The third motion calls for every member of the parliamentary party to have the “freedom to vote in accordance with his or her private conscience”. 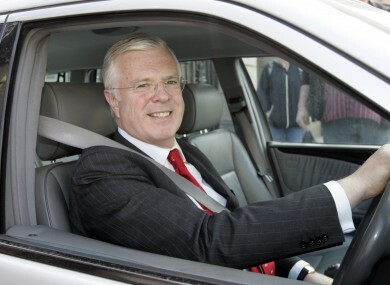 Email “These are the three motions Peter Mathews put to the Fine Gael party last night”. Feedback on “These are the three motions Peter Mathews put to the Fine Gael party last night”.